Adesh Institute of Pharmacy has been one of the latest ventures of Adesh group and is established with an aim to become a pioneer institute in Pharmacy Education and Training. The institute intends to impart quality education and appropriate training to the budding pharmacists. In addition to this, it is exploring placement opportunities for them at different industrial and medical sectors. This institute is committed to reform the face of conventional pharmacy into innovative pharmacy science. 1. 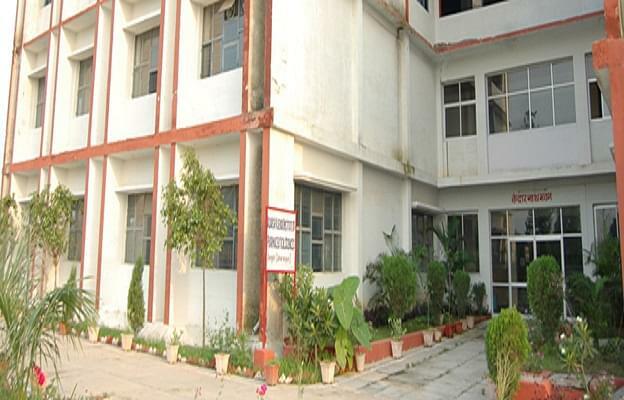 First Class Infrastructural facilities: Adesh Institute of Pharmacy provides excellent facilities for the students. It includes transportation, furnished hostel for boys and girls, modern library, computer laboratories. 2. Practical Training programs: The institute has initiated effective practical training programs for the students, which include industrial tours and excursions, educational trips, workshops etc. They help the students in honing their academic skills which is an essential requirement in pharmacy education. 3. Qualified expertise and effective teaching aids: The College has got experts in the pharmacist field who have gained expertise by working in different sectors. Their experience and excellent teaching aids have been shaping the career of budding pharmacists. 4. Placement and Training Centre: The institute has an active placement centre which has been exploring opportunities for pharmacists. They believe that a pharmacist has ample of career options as industrial pharmacist, clinical pharmacist, drug inspector, scientists, professors, research and development, marketing, placements outside India etc.